"My condolences to the family and friends,and may God's love..."
"My sympathy to all the family.Paul was very helpful to me..."
"Uncle Paul I am so sad that I am going to say this on a..."
Heaven gained Paul Loral Adams, 79, of Colorado Springs on April 4, 2019, after a five week long battle with cancer. He was surrounded by his wife, Helen; sons, Lanny and Randy; and his daughter, Andrea. He was a true warrior; facing the pain, fighting for his life on earth. Paul was born on May 10, 1939 to Loral W. Adams and Gale Miller Adams in Colorado Springs, Colorado. Paul has four sisters, Yvonne (Garrett), Sharon (Ward), Donna (Jagger), and Barbara (Price) and a brother, Ronald Adams (deceased). Paul began his career in the construction industry, running heavy equipment at the Air Force Academy, NORAD, and various missile sites in Montana and Missouri. He started his own company, A&A Contractors, where he designed and executed underground utilities, and water & sewer treatment plants. A&A Contractors became licensed in six states. Paul also worked with his friend, L. C. Greenwood (Pittsburgh Steelers) implementing minority construction projects in Arizona. Paul retired after completing his last government contract in Las Vegas, Nevada. Desert Mountain courses in Arizona. Paul was generous and mindful to make sure his immediate family, friends, employees, and neighbors were well cared for. We are so blessed to have been in his life, and he will be sorely missed. 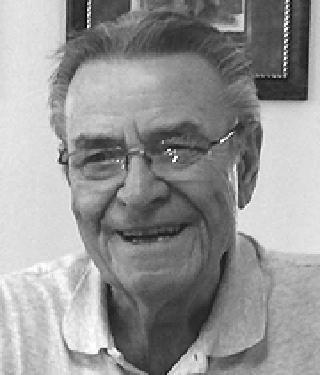 A visitation will be from 4:00-7:00 p.m., Wednesday, April 10, 2019 and from 9:00 a.m. - 10:00 a.m. on Thursday, April 11, 2019 with burial to follow, at Memorial Gardens Funeral Home, 3825 Airport Road, Colorado Springs, 80910. Following burial there will be a memorial service at 11:30 a.m. at Grace and St. Stephens's Episcopal Church, 601 North Tejon Street, Colorado Springs, 80909.